Today, October 4, 2015, is the 6th Expat’s Day here in Seoul. We went to church earlier than we usually do and arrived at the grounds of the World Cup Stadium before 11:30am. Contrary to all its hype, the event wasn’t that well-attended. 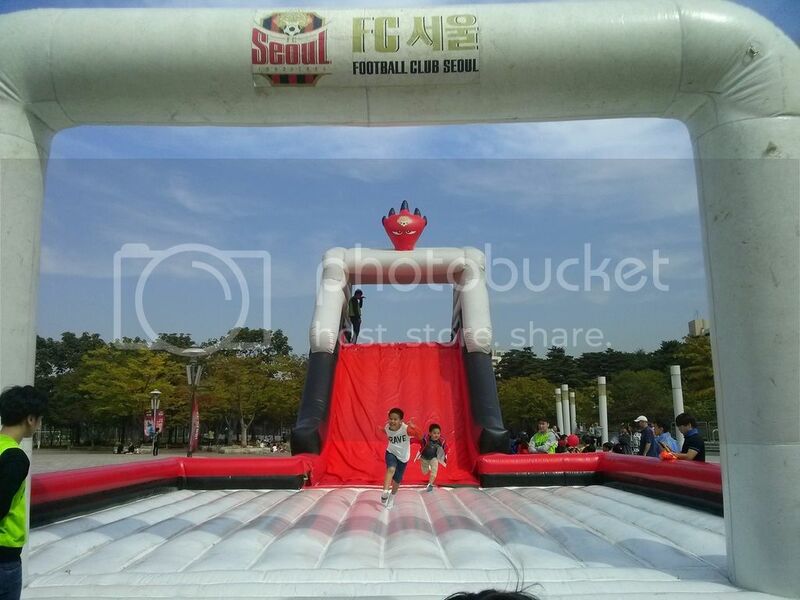 My kids did enjoy the bouncy slide and the free soccer kick but that was just all there was to it. It was a smart move to do it during a soccer game. 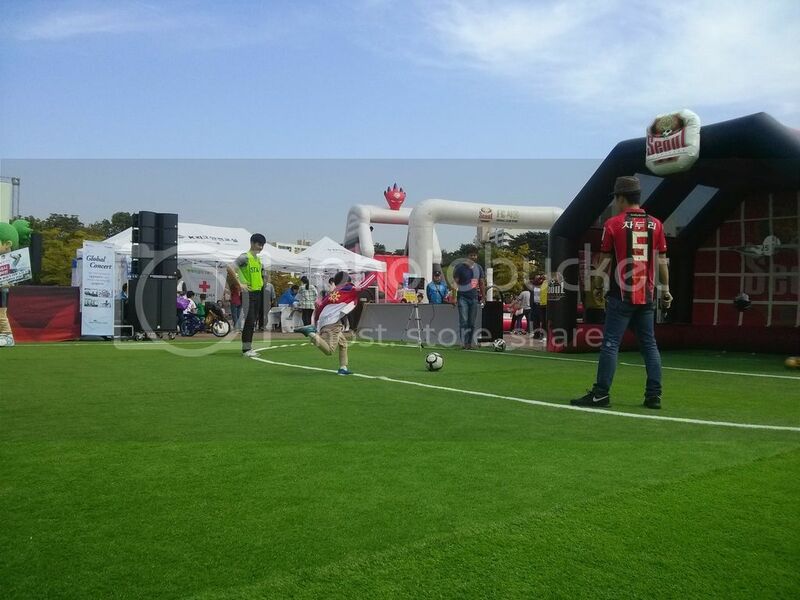 Today, the game was between the FC Seoul and Jeungnam. My 2 boys are both soccer aficionados. LeRuof loves soccer and is always looking forward to his after school soccer classes. And he is looking forward to this Saturday’s (October 10) Family Fun Challenge at Dwight. DeFourth, for one month now, had been talking bout his upcoming kiddie soccer tournament. All YMCA schools will gather their soccer “teams” and play this October 18. It’s going to be a family event we will never ever miss for our little one! Today is also their second time to watch a live soccer game! 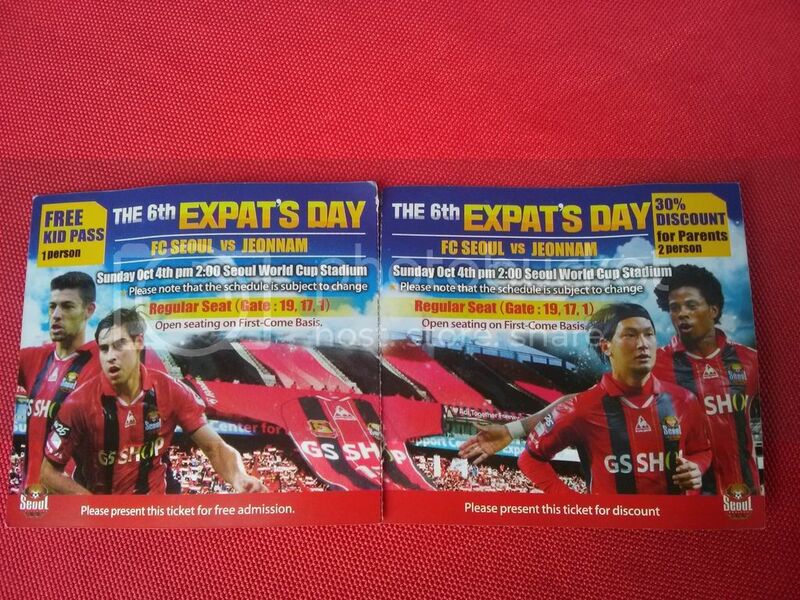 FC Seoul won over Jeungnam. 3:1. And that made the boys very, very happy.